China is filled with history and cultural items, making it a fascinating country to visit; however, many visitors find visiting China quite a culture shock upon arrival. During your visit to China, you will be forced to deal with chopsticks, smog, and maybe even governmental bureaucracy. If you are prepared and informed to deal with these and other common issues, your vacation will be enjoyable and stress-free. 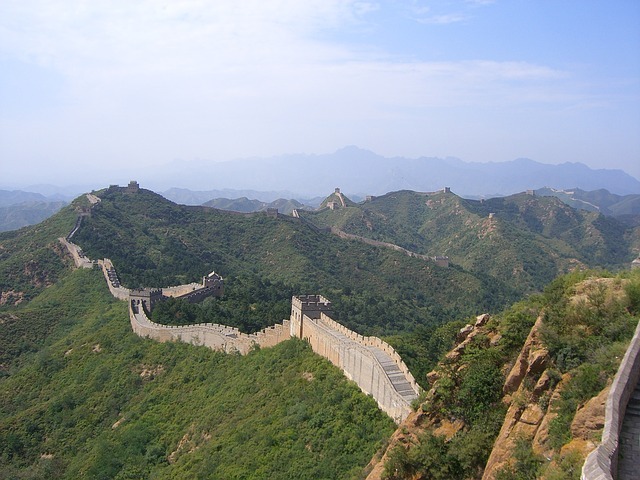 The following information and tips to help ensure you enjoy your first vacation to China. * Advance Planning for a Visa – China requires an entry Visa for citizens of most countries. To ensure you can actually enter China, you will need to prepare and submit your visa application at least two months before your trip suggest www.travelvisapro.com. If you are an American citizen, you will need to submit an application, a copy of your passport, your flight itinerary and a $130 fee to the nearest Consulate General or embassy. To ensure prompt delivery, use a travel agency or Visa service that guarantees prompt delivery. * When Should You Visit? – Summers in China can be unbearable due to its sweltering temperatures, humidity and smog. In addition to this, both foreign and domestic travelers visit touristy highlights in the summertime, making the crowds overwhelmingly large. Instead, opt for the off-season ( October to March). You will find fewer crowds and much cooler temperatures. October is the perfect time when temperatures are moderate, which will help you to have an amazing, awe-inspiring trip. * Where Should You Visit? – There are several different tourist destinations to choose from. The top four places you should consider visiting are Xi’an, Beijing, Guilin and Shanghai. Each region comes with its unique weather conditions and attractions. So, it is important to check out the attractions and weather conditions before you plan your vacation. The hospitality of the Shaanxi region and Xi’an will impress you. There are many cultural attractions like the Terra Cotta Army and Mt. Huashan. Finally, the locals in this area are extremely friendly, making it a great place for first-time visitors to visit. * The Language Barrier – One of the most difficult things to overcome when traveling internationally is the language barrier. China has two major languages – Cantonese (typically spoken in Hong Kong) and Mandarin. You can make traveling easier by learning a few phrases. Although English is becoming a universal language in certain cities, many Chinese cannot speak or understand English. To prevent you from being unable to find your hotel, get a hotel business card. You can show this to your taxi driver to help ensure you get back to your hotel after exploring the country. * Censorship – The government of China censors the internet and media, which means you will not be able to access social media sites like Twitter or Facebook. In addition to this, most of your favorite sites will be censored and you may not be able to send or receive emails. You can help to prevent this by getting a VPN for your computer and phone before traveling. You will need to make sure that the service provider is not censored in China. ExpressVPN can be used on an iPhone and computer in China, which will allow you to have internet while traveling throughout China. * Cultural Shock – Many Westerners will be shocked to find how different the Chinese lifestyle is from their own. Take time to learn about the etiquette and traditions of the region you will be visiting a few months before your vacation. The larger cities in China are plagued by pollution and heavy traffic. Many Chinese wear surgical masks to protect them from inhaling pollution. Another thing you should know is that the toilets are quite different. The Chinese use squat toilets and typically do not have any toilet paper. Make sure to pack your own toilet paper and hand sanitizer and bring it along with you while exploring the area. Finally, street vendors expect you to negotiate with them. If you are not wanting to buy something, do not ask about the item’s price or look interested or the street vendor may follow you around, trying to get you to buy something. Be kind and confident while exploring an area to maximize your enjoyment. * You Will Attract the Locals Attention – It is important to realize that locals outside of large cities are unaccustomed to seeing Westerners. You may notice that locals are staring at you or even taking your photo. If this occurs, stop and smile. These people are curious. Be polite, but make sure that you are street smart and keep your wits about you when mingling with the locals in the area. * The Chinese Cuisine – Chinese food is quite different than what you are accustomed to. In addition to this, each region will have its own flavors. Some areas will serve really spicy foods while other areas will serve mild foods. There are eight regional areas with their own unique cuisine. Some of the most delicious dishes include Peking duck, hot pot, steamed Shanghai dumplings and hairy crab. Before visiting China, take the time to use chopsticks and learn about the dishes that are typically served in the area you will be visiting. * Your Health – One of the biggest issues facing Westerners when traveling to China is stale or old leftovers. If you will be trying street food, make sure to pack some Imodium to help relieve stomach issues that may arise. In addition to this, if you suffer from respiratory problems, avoid larger cities or wear a mask to help block pollution. * Your Safety – China has a favorable opinion of Westerners and the crime rate against foreigners is extremely low. With that being said, pickpocketing can occur; however, the top crime against Westerners is being overcharged by street vendors.